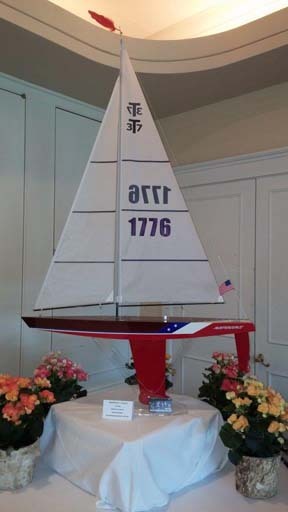 Beautifully hand-crafted model sailboats that you control from shore with a line or by Remote Control (RC). 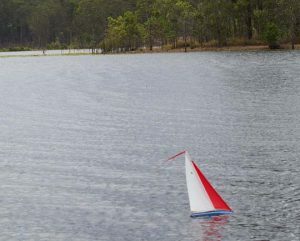 Our free-sailing boats range in size from 12" to 18" and our RC boats range in size from 27" to 65". Our floaters which have sails and float nicely cover the range from 5 inches up to 10 inches. All of our boats larger than our floaters sail wonderfully and provide hours of entertainment, and the floaters are fun as well. 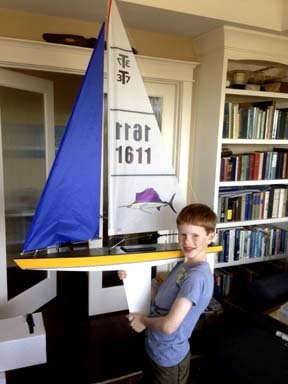 All of our boats 12 inches and over are available either as fun to build kits or completely finished. With the kit you can customize the boat however you like with a special paint job or a few extra coats of varnish. 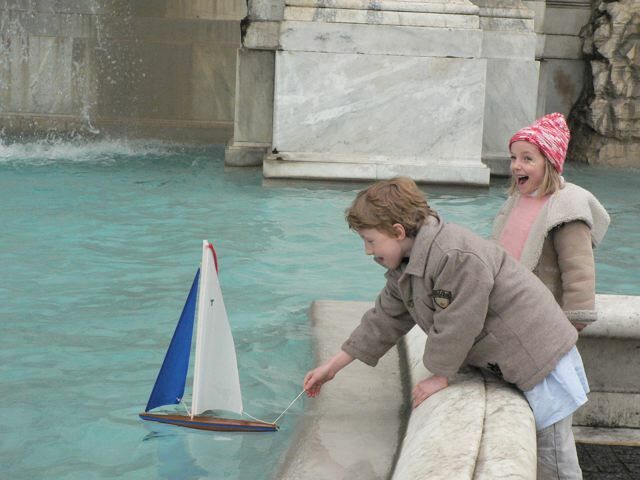 The boats are lots of fun to build with kids! Finished boats can be custom ordered and are crafted with care and quality. 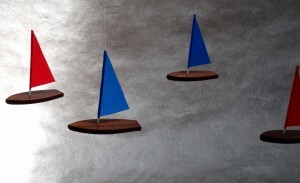 Check out our wooden model sailboats here. 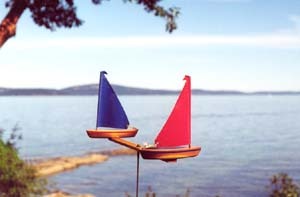 For a colorful and nautical piece of garden art, you can’t beat the WindRacer Sailboat Whirlygig! The two boats spin around and around in all winds. Fun, colorful and unique garden art for the sailor in all of us! A wonderful gift idea and a wonderful addition to your garden, deck, pool or dock. 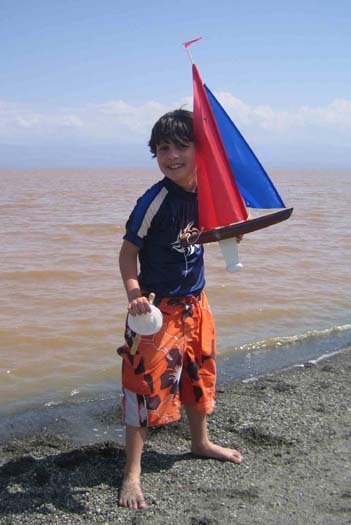 Check out our Windracer Sailboat Whirlygig here. Tippecanoe Boats is the only class-approved supplier of after-market Kyosho SeaWind sails. Made from white 1 oz ripstop dacron cloth, these sails are crafted in the USA with care and sail beautifully! 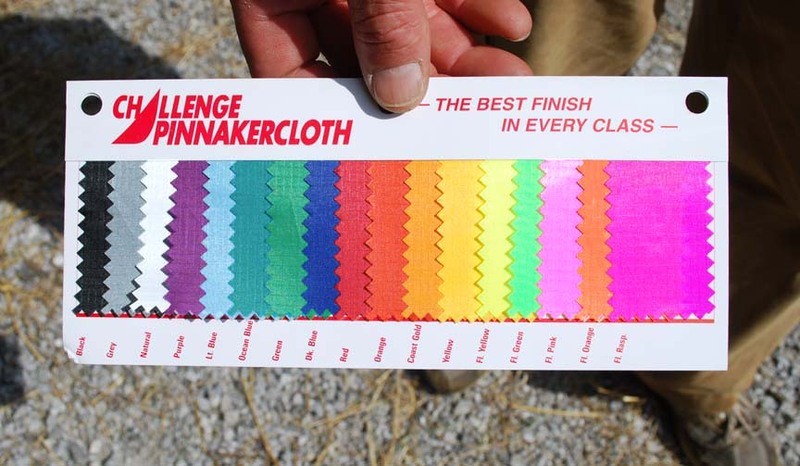 Colorful reinforcing corner patches help distinguish your boat from other Seawind sailboats on the racecourse. Check out our Class Legal Sails for Kyosho SeaWind here. 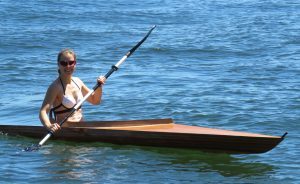 Our newest addition to the Tippecanoe wooden boats is the ultra-light wooden Sport Kayak. The Swift Arrow and the Silver Arrow kits are now available and weigh in at only 14.5 pounds and 20 pounds, respectively. The Silver Arrow is perfect for lighter paddlers up to 135 pounds or more experienced paddlers up to 165 pounds. With a beam of 19 inches the Swift Arrow is a moderately narrow boat, and so it is less stable than the wider Silver Arrow. The Silver Arrow with a beam of 24 inches is moderately stable compared to the Swift Arrow. The Silver Arrow is still swift and light, and is ideal for any weight paddler up to 210 pounds. These light, strong and fast full-size kayaks combine the beauty of western red cedar and European okume marine plywood with the impressive strength of modern materials such as kevlar and carbon fiber. When a boat is so light and easy to carry, not to mention so beautiful, it is sure to be the boat you paddle the most often. Loading it on top of the car by yourself? - not a problem, you can lift the boat easily with one hand - or even one finger! And what a joy to paddle compared to a heavier boat. So swift and light! Paddle around comfortably in fresh or salt water in these sleek, excellent boats. Check out our wooden sport kayaks here. Made of four colorful sailboats, this mobile sails continuously in the air-currents and adds a nautical and fun flare to any room. 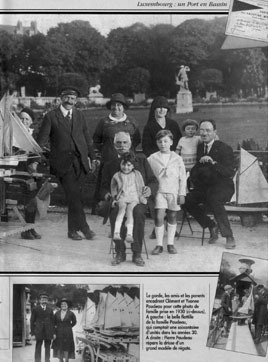 The boats are suspended from three thin, high tensile steel rods that move easily around each other as the boats sail through the air. Check out our colorful Sailboat Mobile here.